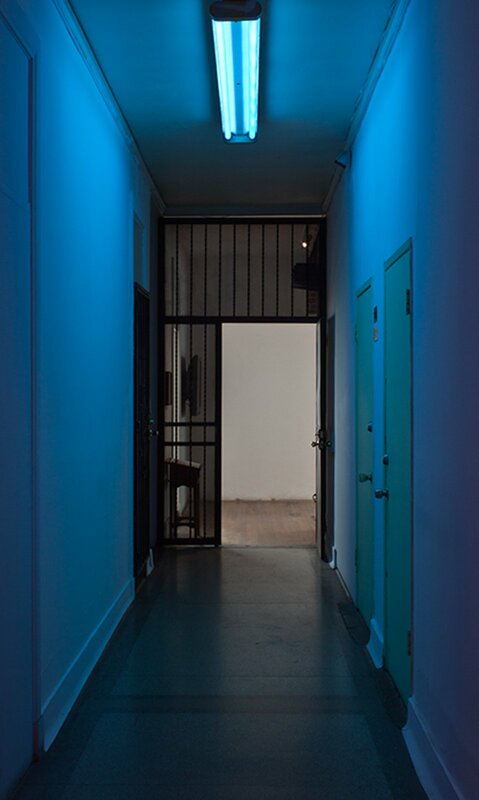 Doppler.Shift is an exhibition of two site specific sound and light works for the hallway leading to Commonwealth & Council. 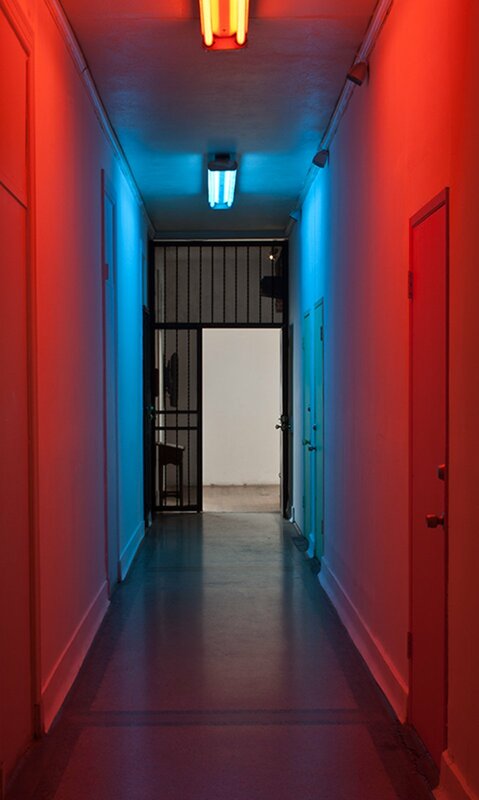 The two works, Red.Shift and Blue.Shift, each incorporate filtered florescent light, synthesized sound and the unique sounds of the space as their primary materials. The sound of each piece is composed using the filtered field recording of the space paired with synthesized sounds created to enhance different harmonic profiles present in the recording and in the space. 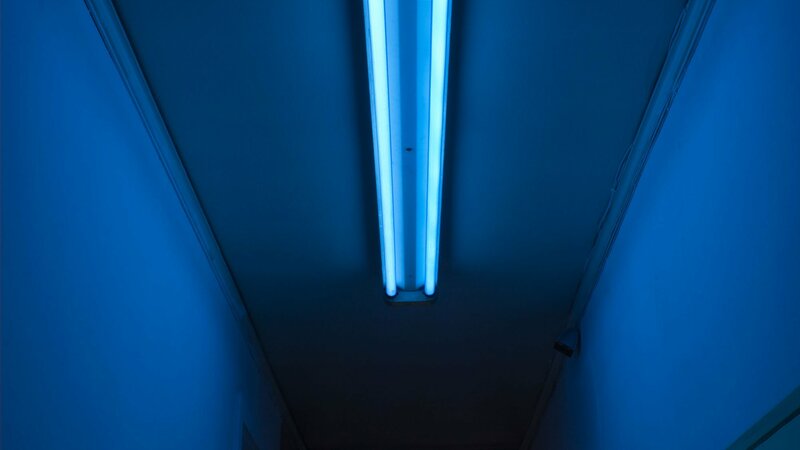 Blue.Shift incorporate filtered florescent light, synthesized sound and the unique sounds of the space as its primary materials. The sound is composed using the filtered field recording of the space paired with synthesized sounds created to enhance different harmonic profiles present in the recording and in the space.